Functional and beautiful external site is sure to impress your potential customers, as people ever «judges on clothes» Competently and beautifully designed site will induce customers in your favor, and competent SEO-optimization — search engines. Functionality and ease of management sites on CMS WordPress confirmed by millions of users. To date, virtually no organizations that do not have their own website. And it’s not a fad, but a real opportunity to increase number of clients and reduce the involvement of human resources. Particularly relevant is the availability of the site for educational institutions, both commercial and public. This is due primarily to the mainstreaming of distance learning, which is organized on the basis of LMS. However, the site LMS performs well-defined series of internal problems. It’s not presents an educational institution for Internet users, not a tool to attract new students and do not perform the function of informing. For these purposes require a separate, external website. At the simplest example, consider a sample loop steps to attract potential customers to your LMS. Thanks to SEO-Optimization of the main page DLS search engines index the site and put it at advantageous positions for your specific needs. People go to the LMS homepage. People comes to the homepage of your LMS, where they sees beautifully designed page, as well as a link in a prominent place, the logo of your external project. Stylish design increases loyalty. 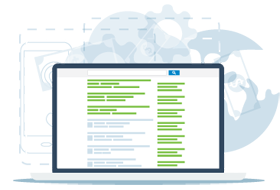 Targeted visitors exploring materials at LMS site and at your external website. Proper beautiful design of the website and material on the sites induce him to be exactly your customer. Is there a website on WordPress? ПоAt last count about 70 million websites use WordPress. Among them CNN, Forbes, BBC, MTV, well LMS-Service own website. WordPress have a huge community, more than 20 thousands of free plugins to suit all tastes — download and enjoy, if desired plug your company is not in the repository, then we will develop it for you, we have good experience! The foundation of any website is a CMS (content management system). It affects the functionality, ease of site administration, performance and potential for search engine promotion and optimization. By far the most popular in the world is the CMS WordPress. Due to the adaptability and variety of solutions it is widely used for organizing personal blogs, as well as for the implementation of a large-scale commercial and information projects, such as the New York Times and CNN. 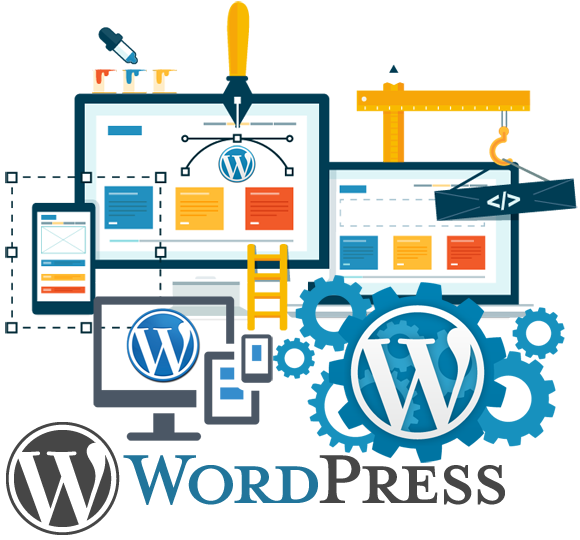 If you still do not have your own external site, then opt for WordPress is the first step towards the creation of a modern and attractive web site, which will contribute to the success of your project. It will be an excellent complement and support the Web interface LMS. If your site is functioning for a long time, but it does not bring the desired results, as evidenced by the statistics services analysts, make sure you need to change. Creating a new site, according to the latest requirements and standards more promising solution than making edits to an existing implementation. The new resource based on WordPress will provide your institution impressive development potential, and your employees are guaranteed to appreciate the simplicity and accessibility of the CMS. WordPress — an open source system, developing since 2003. To date, this is the most popular CMS in the world. It is actively maintained and updated by multi-thosand people community. Before the official release any updates or additions are testing and debugging. The number of sites on the basis of this CMS is constantly growing, it again confirms that it has a number of significant advantages. Wow! And what else is interesting about it? This is the most popular CMS, so it used both in Russia and in the United States, Honduras, Mozambique and even the Fiji Islands. A lot of advantages, it’s not listed! It probably expensive! Is it? The system is free, as is the Open-Source System. So I'm free to download and make own site! Sure, you can download WordPress, and even you able to pick up the template, but it’s not so simple, to make the site really functional and beauty — “straight arms” are necessary, that we have. And amateurs and hacks in this case is enough. The system is free, which significantly reduces the cost of individual design and customization. A strong visual editor, no need to use FTP-client and logical construction of the system makes it simple and straightforward administration. 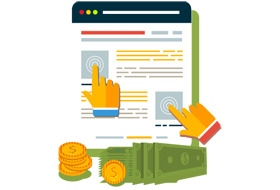 You will be able to work on the content and development of the site on their own without any special knowledge. The system uses plug-ins, protecting the site from external attacks, and protected from spambots. WordPress offers stability and resiliency. Due to the massive use of this CMS errors and omissions quickly identified and fixed. Powerful core, adaptability, cross-browser layout validity and flexibility due to the existence of a large number of plugins allow you to implement even the most complex ideas. A opensource system makes it possible, if necessary, create new modules, consistent with the objectives of the project. Sites made based on WordPress, well ranked by the search engines. This is facilitated by competent architecture, quality code, SEO-plugins, etc. 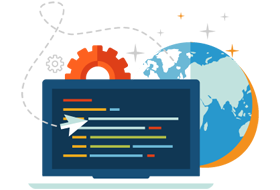 We have extensive experience working with CMS WordPress, which makes it possible to implement the optimal functional and beautiful external solutions. And using the popular and multifunctional CSS-framework Booststap, in combination with WordPress, allows us to create quality sites with attractive, adaptive design in the shortest possible time. In addition to commercial development and maintenance of websites, we are active in community work related to the improvement and development of the CMS. For example, regularly organize meetings webmasters informal WordPress community in St. Petersburg, sometimes participate in such events in Moscow, engaged programming for Moodle and WordPress. It is also important that our company is ready to offer you a full range of services from hosting and SEO-promoting your site prior to DLS implementation based on LMS Moodle. The quality of services is complemented by an adequate amount and speed of performance, which is achieved by many years of professional developments. Contact us, and instead of the usual site, you will get a powerful business tool that facilitates the realization of all your goals and issues.